Learn to Sew with Jersey Fabrics! 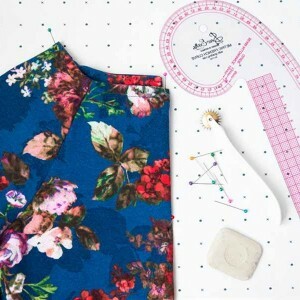 Are you looking to build on your dressmaking skills? Do you struggle to find trousers that fit well? Have your previous trousers making attempts resulted in a disaster or have you been too scared to attempt this garment by yourself? We hear you! Achieving a well fitting pair of trousers is no easy task UNLESS you have the help of some super skilled pros! So… if you’d like your first (or second!) pair of trousers to be a success, look no further than this class! 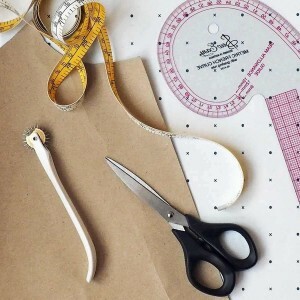 On this course you will learn to alter the pattern to fit your shape and measurements to create a great fit. You will then learn some great construction techniques such as darts, facing a waist and inserting a concealed zip. PLESE NOTE: We have ready made toiles (test garments) for you to try on so the tutor can establish the necessary pattern alterations. Please be aware that depending on your size and shape, you might need to make your own toile first before cutting into your fabric. Once we fine tune your toile and pattern, you may cut out you fabric and get started on the sewing. This may result in having to finish your trousers at home (don’t worry, we’ll give you plenty of instruction!) and if you’ve never inserted a concealed zip before, you’ll be given the opportunity to practice this in class. However, making a toile will not be necessary if one of our own toiles fits you reasonably well, in which case you’ll be able to move straight onto altering your pattern and cutting into your fabric. So! 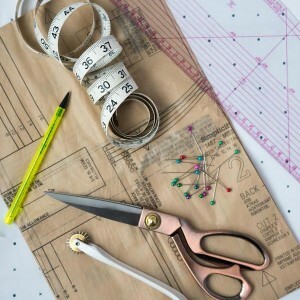 Are you ready to take your dressmaking and pattern alterations skills to the next level??? Then come along and be part of a lovely group, learn some invaluable skills, chat and make friends. The tea and biscuits are on us! NECESSARY EXPERIENCE: To be able to attend this course you need to be very confident on the sewing machine as well as be able to sew at a good speed and have previous experience of working with dressmaking patterns. You will also need to have previously completed our Complete Beginners Sewing Course, and our Advanced Beginners Dressmaking Course or equivalent elsewhere. Alternatively you would need to have previously undertaken some dressmaking projects independently. We have a lovely selection of suitable fabrics available to purchase on the day at very affordable prices. If you would rather bring your own fabric please refer to the quantities and types below. We also sell all the haberdashery needed for both projects including interfacing, zips and threads. Suitable fabrics: Medium weight woven fabrics with 2-3% elastane such as medium weight stretch cotton, stretch cotton drill, stretch gabardine, light to medium weight stretch denim, stretch crepe. Please allow extra fabric if choosing a material with bold patterns or checks. Not suitable for diagonals. *Important note: If you’re bringing your own fabric, please make sure to pre-wash it according to manufacturers instructions prior to attending the class in order to pre-shrink it. This does not apply to dry clean only fabrics. Check with the shop about fabric care when purchasing your material. If you’re buying fabric from us on the day, you will be able to steam shrink it instead. The class includes pattern and step by step illustrated instructions, so no excuse not to practice your newly acquired skills at home and make this trousers again and again! Got a question for us? Please read our FAQs page before contacting us. DATES Choose an optionPlease contact us to register your interest in further dates and be notified when new ones are released. Once your booking is complete, you will receive an order confirmation and a receipt from us, as well as a receipt from Paypal. Please check your junk or promotional folders if you can’t find them in your main inbox. You will also receive a welcome/further info email a couple of days before the course/class starts. Please check the other folders as mentioned above if it doesn’t reach your inbox. Bookings are non refundable and only transferable subject to availability and to our discretion. Please read our Terms & Conditions for more information. Please arrive 5 minutes early and wait outside the main entrance. We will come and let you in a few minutes before starting time. If you happen to be late please ring the Yellow Studio buzzer. Unfortunately we won’t be able to let you into the studio if you arrive earlier than 5 minutes before starting time. We are located in the Waterloo area, right opposite St Thomas’ Hospital A&E and within close walking distance from Waterloo, Lambeth North and Westminster stations. The Old Paradise Yard can be tricky to find and phone maps directions will send you to the wrong place. Please click here for detailed directions, transport links and our address. COPYCAT CLOTHES. LEARN TO COPY YOUR CLOTHES! BOOK NOW FOR 20% OFF!!! Book Now for 20% OFF! Sign up to our Newsletter and never miss our latest offers, new class releases and hottest sewing tips!